Nov 2005 Right operating position. Added AL1200 amplifier. CN2KM set CQWW CW SOSB 20M from this position. Mar 2006 right position. 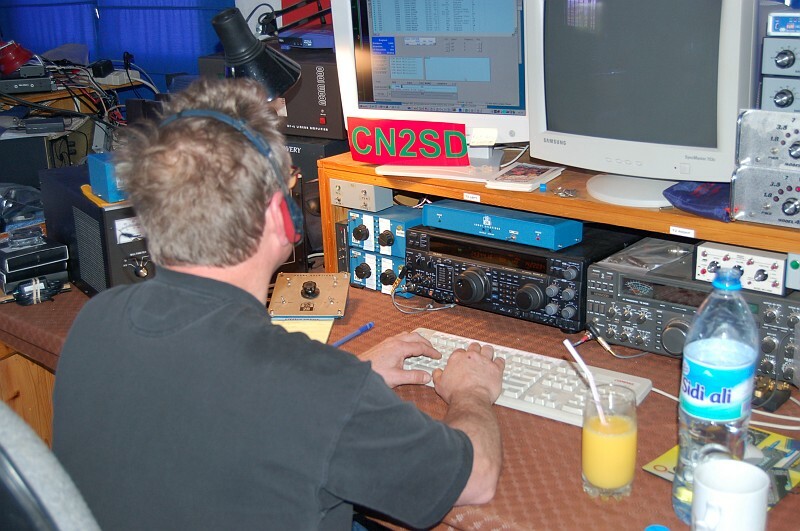 CN2SD operated the CQWPX test as SOSB 20M. An LCD monitor was added to this position. Stack of cases are used to store all radio equipment offsite after the contest. Storage cabinet used to store small parts and backup equipment.